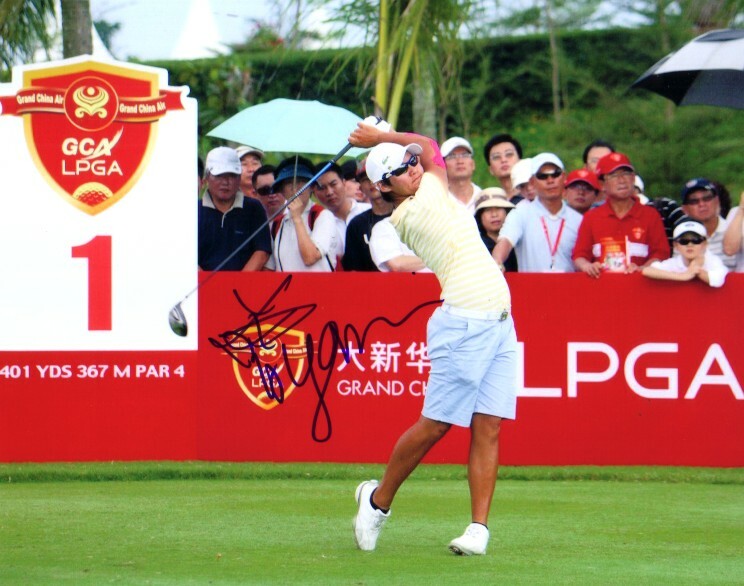 8x10 action photo from the 2008 Grand China Air LPGA tournament (the first LPGA event played in China) autographed by superstar Yani Tseng. With certificate of authenticity from AutographsForSale.com. ONLY 2 AVAILABLE FOR SALE.